After six months in New Zealand we finally made it to the South Island! Dunedin was our first stop in a 3-city tour. We planned the trip around the Cadbury Chocolate Carnival and the Jaffa Race in particular. 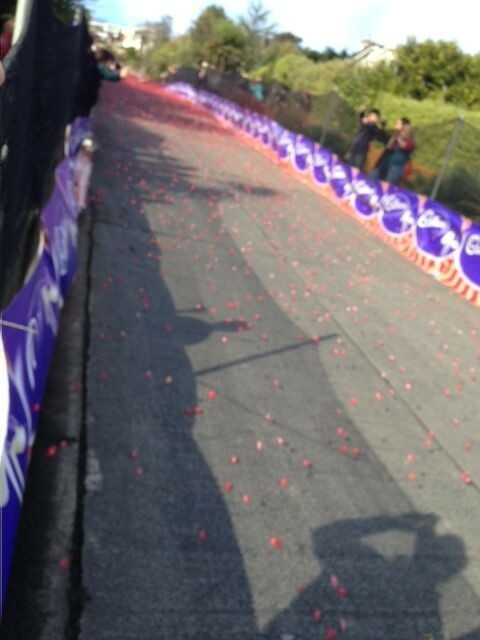 Each year numbered chocolates race down Baldwin Street, the world’s steepest street, in a series of races. Early that morning we walked to the Cadbury factory to purchase our jaffas for the race and were disappointed to find they were sold out. Undeterred, we hopped a bus to Baldwin Street to watch the contestants jostle down the street. 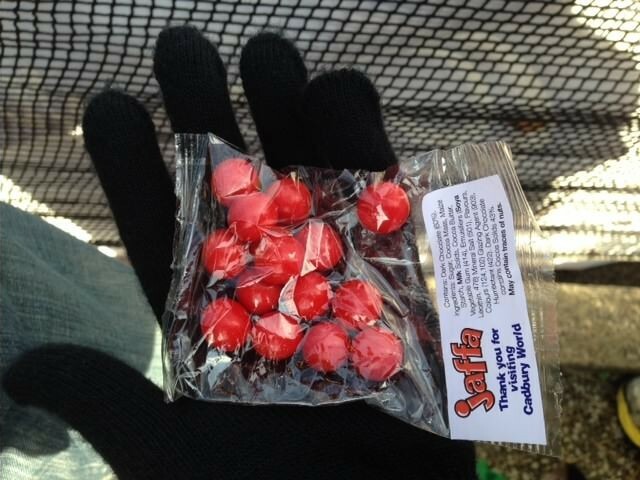 A few stragglers bailed halfway through and we were able to get a close-up of the numbered jaffas. Overall, Dunedin seemed quiet for a college town. The settlers museum is an educational and entertaining stop. It might be worthwhile to do a penguin tour next time. Accommodation: private room at Chalet Backpackers, I do not recommend this place: okay location, but seems to target long term student boarders. It was cold; space heater in our room did not work. Reception was never open. farmers market at iconic railway station. Transportation: flew to Dunedin – airport is 45 minutes from town.